Russian equities are likely to open lower Tuesday as investors’ enthusiasm about new easing measures begins to fade, while a dispute between China and Japan adds concerns. ­Local stocks closed in negative territory Monday amid dropping oil prices and a lack of optimism at the global floors. The MICEX lost 0.3% and the RTS shed 0.7%. 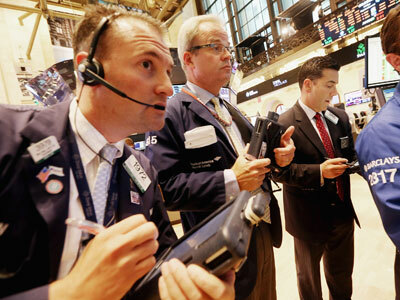 European indices erased gains of the last week on Monday, pushed lower by mining and telecom sectors. The Stoxx Europe 600 lost 0.3%. The German DAX 30 lost 0.1%, the French CAC 40 dropped 0.8%, weighed down by weaker performance of steel company ArcelorMittal and oil group Total SA. 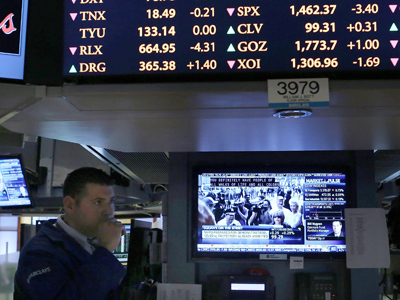 US bourses closed lower Monday for the first time since Thursday when the Federal Reserve unveiled fresh quantitative easing measures. The Dow Jones and the S&P 500 both fell 0.3%, with Bank of America and Alcoa Inc. pacing the losses, while the Nasdaq Composite dipped 0.2%. Asia shares mostly fell Tuesday weighed down by a territorial dispute between China and Japan. China’s Shanghai Composite dropped 0.6% and Hong Kong’s Hang Seng lost 0.1%. Japan’s Nikkei shed 0.1% as investors returned from a holiday on Monday. Australia’s S&P/ASX 200 fell 0.1% while South Korea’s Kospi traded flat.